Ever since Maple Story became enormously popular, a lot of new 2D MMORPGs have hit the market. If you’re looking for the top 10 best 2D MMORPGs, you came to the right place. It’s sort of hard to come up with a 100% accurate top 10 2D MMORPG list, but the top 2D MMORPG list below was put together using ‘user rating data’ from across the internet and from right data right here on MMOHuts. 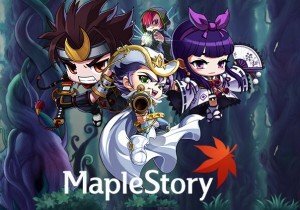 Maplestory is without a doubt, the most popular 2D MMORPG on the market. The game boasts that it has 92 million users worldwide and an enormous amount of content. From my experience with the game, its sheer simplicity and boat load of content make it well worth checking out. Dungeon Fighter Online is an epic 2D arcade style side scrolling action MMORPG by Nexon with retro graphics. The game boasts a total of 25+ playable classes and a large playerbase. 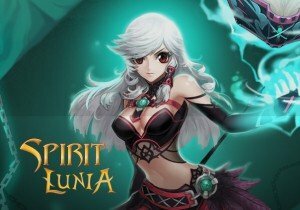 Lunia is a unique 2D Fantasy MMORPG. The gameplay is a lot more like an arcade style RPG than a traditional MMO, as players have to group together and beat all of the game’s 60 stages. The game’s sheer amount of content and addictive gameplay makes it well worth the download. Grand Chase is a 2D Side scrolling MMO with some interesting co-op gameplay modes. Like Lunia, players have to advance through the game’s stages in order to progress in the game. With multiple PvP options and numerous levels Grand Chase has a lot to offer. Where the game really stands apart is its huge variety of playable characters. Fists of Fu is a 2D side scrolling action MMORPG by Outspark which plays a bit like Dragon Saga and MapleStory. Combat feels fast paced and takes skill. Players have to dodge enemy attacks and form combos to be effective in PvE and in PvP. Like Lunia, the game’s PvE is extremely linear, as it’s stage based. LaTale is an innovative 2D MMORPG by OGPlanet that drew a lot of its inspiration from MapleStory. Gameplay is side-scrolling, but fast paced. Unlike MapleStory though, the game has some interesting PvP options. The game is relatively new, so it doesn’t have that much content yet, but it certainly has enough things to do to keep the player entertained. Trickster Online is a 2D Fantasy MMORPG with cute and vibrant anime graphics. It has 8 different classes and a large game world to explore. From my experience with the game, it’s easy to get into and worth the download. Like MapleStory and LaTale, WonderKing is a 2D anime inspired side scrolling MMORPG. The game is published by Ndoors, who is best known for their turn based MMORPG Atlantica Online. Graphically speaking, the graphics in Wonderking are a bit crisper than the visuals in MapleStory and the combat feels a bit smoother too. The game doesn’t have many classes as other side scrolling games, but it still brings a lot to the table. NosTale is a 2D anime styled fantasy MMORPG by Uforia. The game has a lot of unique features including player housing, pets and a unique class system. Although Osu is arguably not an MMO, the game is still quite interesting. It’s a rhythm based game based off the popular ‘Elite Beat Agents’ for the Nintendo DS. It’s sort of like Dance Dance Revolution, but for the PC and uses the mouse rather than a dance pad or a keyboard. Well that’s it. Those are the Top 10 best 2D free MMOs and MMORPGs on the market. If you came here looking for a game to play, I hope you found this top 2D games list useful. Dropzone basically removes Macro from the equation, and while there are still a bit of resource collection involved, games come down to Micro. Beginning on December 5th, new and never-before-seen content will be coming to Bless Online from holiday events to a new Time and Space stage. A new update in Forge of Empires today introduces a guild system for players.